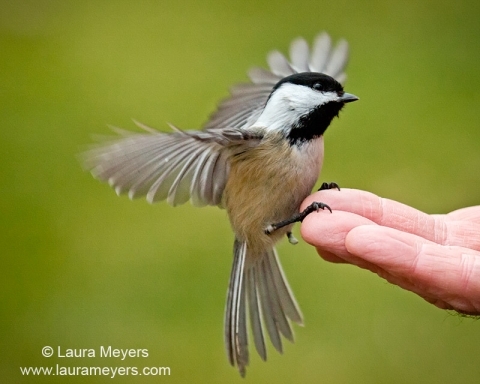 The picture of this Black-capped Chickadee on hand was taken at the New York Botanical Gardens. The chickadee and titmouse are very “friendly” at the gardens and will respond if you put your hand out even if you do not have any seeds for them. I love feeling the life force in their little bodies when they are on my hand. This entry was posted in Birds, New York Botanical Gardens and tagged bird on hand, bird photography, birding, birds in New York City, Black-capped Chickadee, Black-capped Chickadee on hand, New York Botancial Gardens, songird on hand on February 27, 2013 by Laura Meyers. These are beautiful photos. I love pictures of birds in flight. You are an amazing photographer. Hi Jane, Thank you for your comment. 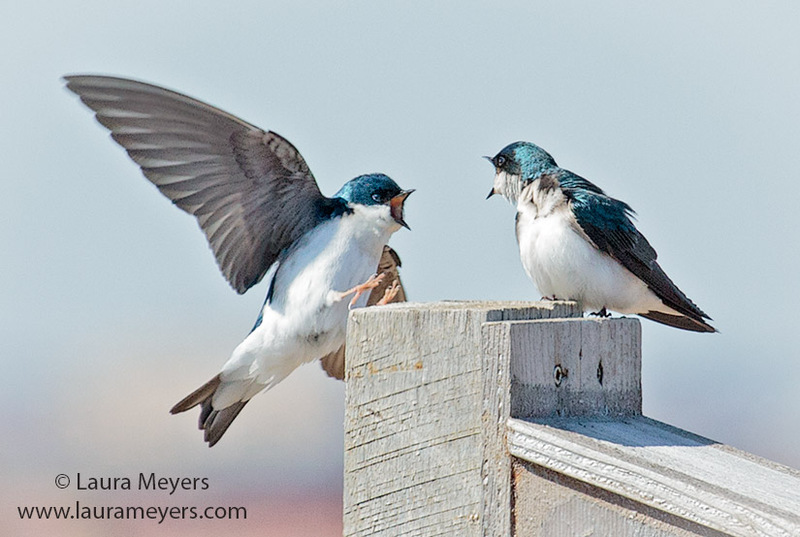 I do really enjoy capturing birds in flight.